So I tried to make a schedule, I just need to finish it and then I might be able to follow it. I don’t know though. I’m trying. I hoping once I have a routine that it will help my blog as well. I was going to try and do some more blogging today, like scheduled posts, because they make me feel like I have my life together. However, I just didn’t do anything instead. Which is okay, but I feel like now, looking back on my day I should’ve packed more or blogged some or just should have been more productive in general. I hate that, but I guess that’s okay. 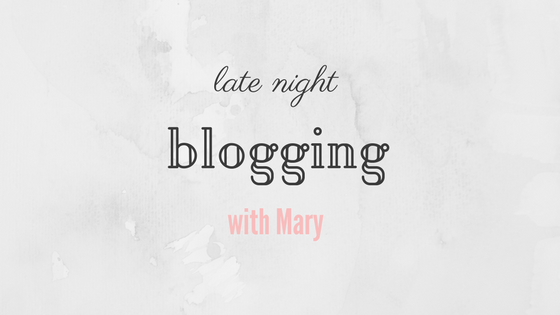 I’ve also been dealing with some shoulder blade pain which has made late night blogging tough because all I want to do is lay in bed, which is what I’m doing now, but it’s harder to blog in pain. I don’t want to complain too much, but it hurts. My study abroad count down is officially into the single digits, I leave next Sunday and I can’t wait. This week I’m going to Hood to spend time with my friends, and thank goodness because I am going stir crazy in Pennsylvania and I need some distractions, also I miss everyone a lot. I was finally assigned my roommates, so that really just makes everything seem more real. I only have three more days of work left, which is crazy. When I get back from Hood Monday night we’re getting to crunch time and I can’t wait. I don’t like that I feel like I’m wishing away my time, because you know that’s my most precious commodity. However, this summer has been long enough, things haven’t gone my way, yes, I’m aware that sounds bratty, but I’m ready to have a routine once again, I’m ready to go to class, and I’m ready to explore new places in the world. Yes so this is tonight’s LNBM, not much too it haha. But definitely check out Wednesday’s post about trying to do better for the world and give me any advice you have! Previous Article Trying Not to Kill the World. I hope you have a great time on your trip and I hope your shoulder gets better and feels better soon!